Publisher: Published for the benefit of St. Luke's hospital.Preface signed: W. A. Muhlenberg.. 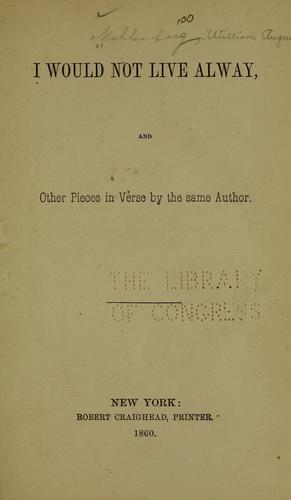 Published for the benefit of St. Luke's hospital.Preface signed: W. A. Muhlenberg. 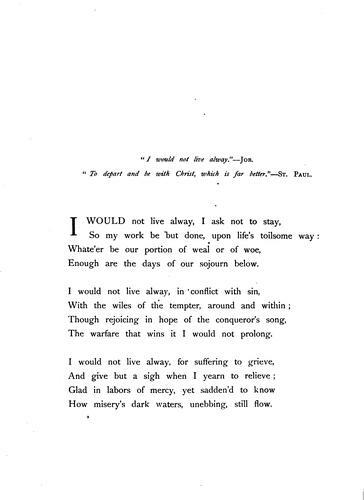 "I would not live alway." The Free Books Online service executes searching for the e-book "I would not live alway" to provide you with the opportunity to download it for free. Click the appropriate button to start searching the book to get it in the format you are interested in.